Not that long ago, a few of us wondered what would happen with what was turning into a tightly packed calendar of beer events. This was at a time when there were perhaps 10 events happening in a busy week and we thought it was getting a little crazy. How naive we were. We now know, obviously, that we were seeing the leading edge of the event madness that has effectively taken over craft beer. So many events dot the contemporary calendar that beer fans are forced to choose which one (or ones) they want to attend on a particular day. 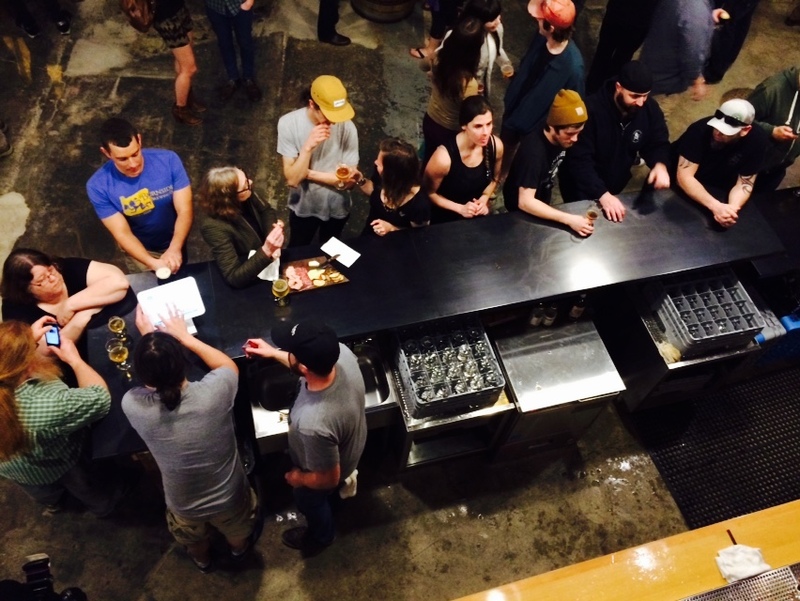 Take Portland Beer Week, which is currently underway. Figuring out how many events are attached to PBW would be a neat trick. Because the calendar is packed with small and large events of all kinds, many occupying the same spaces in time. We aren't the only ones with a beer week, by the way. Seattle, San Francisco, San Diego, Eugene and countless other cities have them, too. Beer weeks have become popular due to the fact that events are how craft beer is marketed in the frenzied social media age. Don't misunderstand. There were most definitely beer events in prehistoric, analog times. You'd learn about them on the radio, in the newspaper or maybe on a poster. You'd make plans to attend. There wasn't a lot of fussing around involved because there weren't a lot of choices. That approach has been largely blown away in our present context. Most of us learn of upcoming beer events on social media. If we're "interested" or "going," we get reminders as the event approaches. We also see which of our social media friends are "interested" or "going." The event crescendo that has taken over craft beer could not have happened without two things: a young adult demographic that's enchanted with craft beer while at the same time addicted to social media for activity planning and communication. Boom. The current reality is such a monumental change from the past that it's impossible to know where it leads. There's a chance next-generation drinkers may reject craft beer and/or social media. One generation's treasure is another's trash, after all. For the time being, though, social media and craft beer are joined at the hip. If you want to build a following for a brewery, taproom, pub, etc., a decent social media presence is mandatory. Succeeding without that presence is a risky proposition. Of course, not all craft beer fans bow down to the events calendar. Many still drink beer the old fashioned way in neighborhood pubs and taverns. But promotional events attract industry groupies and others who magnify the buzz that helps drive the success of brands and businesses. It isn't even clear that well-organized events are all that important. Plenty of them promise a lot and deliver little more than a chance for someone to make money. Some Portland Beer Week events actually include an educational angle, but that approach isn't typical most of the time. Regardless, the notion that event madness might somehow subside is pretty quaint at this point. The industry is where it is for good reason and it isn't going back to the ways of yesteryear unless there's some kind of dramatic shift or dislocation.